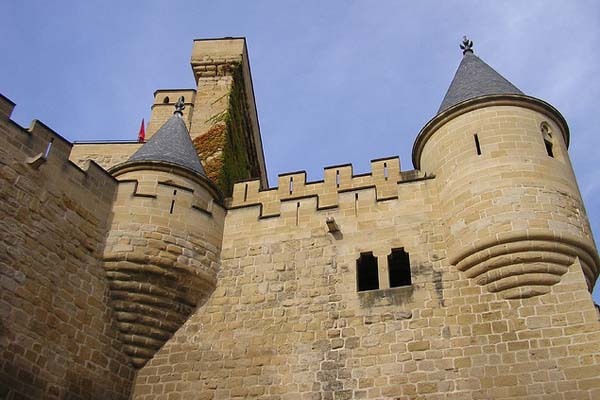 History: A knight’s castle, dating back to the 11th century. 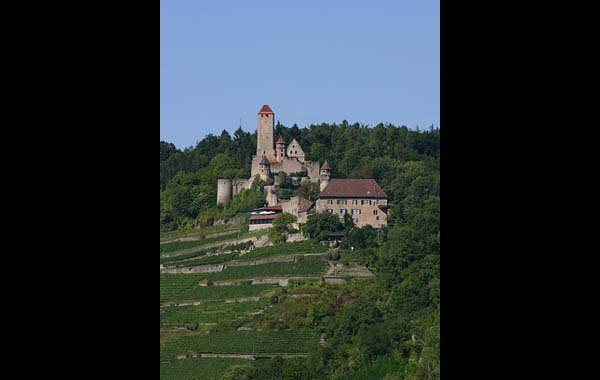 In 1517 it was purchased as a residence and sold again in 1612 to the Barons of Gemmingen, who still own it to this day. 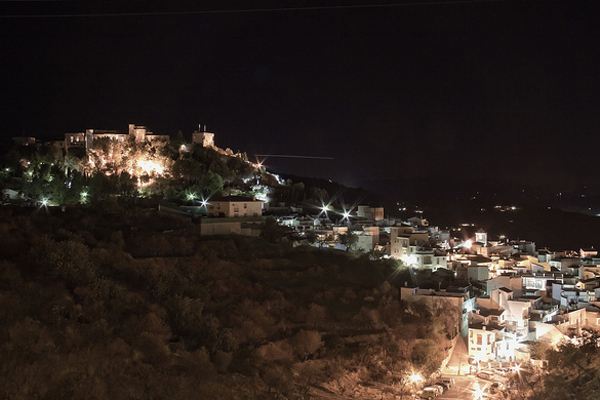 A hotel and restaurant have been operating out of the castle since 1953. This is interesting: They offer a “knight’s meal” for 20 – 120 people, complete with period-speak, musicians, and jugglers. The feast is prepared according to original recipes, using spices and ingredients from the middle ages. History: Originally built during the Middle Ages, the castle was destroyed after the 30 Years’ War and rebuilt in 1647 to its current form. The idea to use it as a hotel originated around 1955 and it currently holds membership in the Leading Small Hotels of the World. This is interesting: Hugenpoet was named after the toads (hugen) that once lived in the moat (poet = puddle). Little toad emblems are still around the castle — e.g., menu adornments, lapel pins — to honor this legacy. 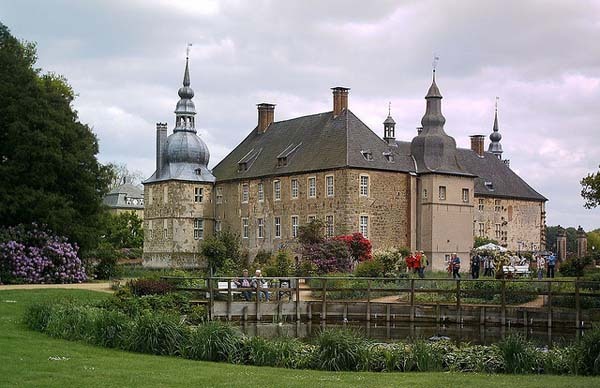 History: The origins of this castle date back to the 12th century and it has been in the same family (Merveldt) for 600 years. It was reconstructed and enlarged in 1692, and a 300th anniversary in 1992 marked the occasion with concerts, equestrian tournaments, and theater performances. This is interesting: The Merveldts were forced to abandon the castle as a residence in the 1970s due to high maintenance costs (especially heating). 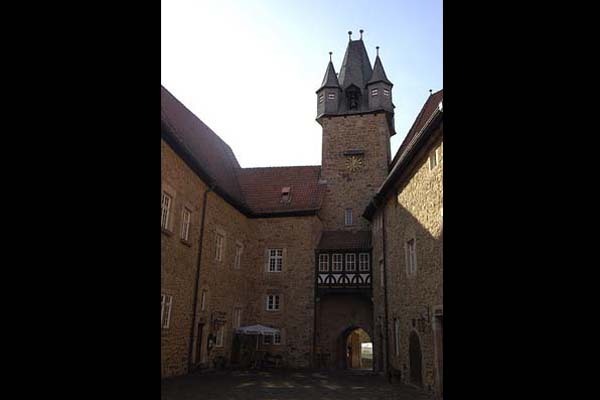 History: Built by knights in the 1200s and added to over the centuries by the counts of Hesse and Count Wilhelm IV. It survived the 30 Years’ War but was lost to the French in the 7 Years’ War. It has since been restored after being damaged during WWII. This is interesting: According to this post, the castle is temporarily closed. They advise to check back later in 2010 for updates. History: The original was built by King Louis the Pious in 789 as a strong point to secure territories taken back from the Moors. The present castle began construction in 1020. 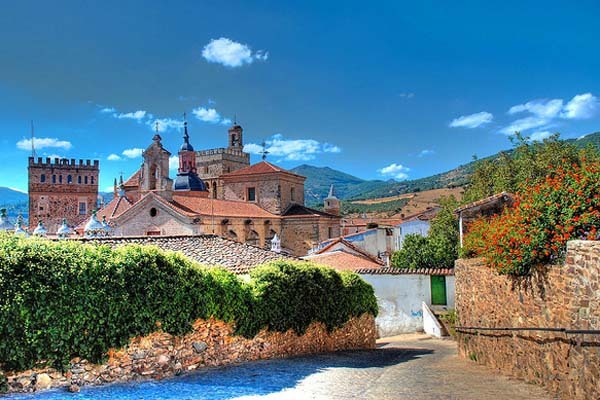 It has withstood wars, surviving attacks from the French and Spanish during the War of the Spanish Succession, a siege during the Peninsular War, and an attempt by the Carlists during the Spanish Civil War. This is interesting: Room 712 is reputed to be haunted by a ghost dressed in a leotard and period costume. History: It is part of the palace and mosque of the Alhambra (started in 1238). The parador was built between 1332 and 1354 and later converted to a Franciscan convent. This is interesting: The kings of Spain used to be buried in the former chapel part of the building, but were later relocated to the Royal Chapel. 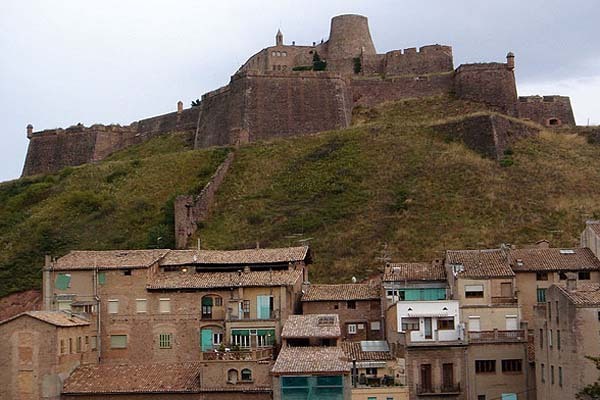 History: The Moors laid the first foundations of the castle, which were taken by the Christians in 1485, then razed in 1570 during a Moorish uprising. It was never rebuilt over 400 years, but in the 1970s the ruins were restored. This is interesting: The Battle of Munda in 45 BC between Julius Caesar and Pompei is said to have taken place on this site, according to local legend. 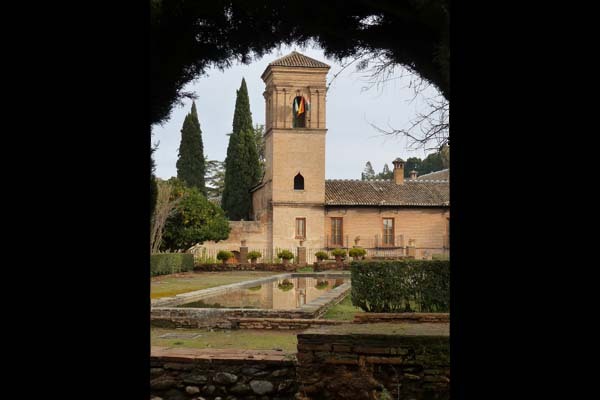 History: A small chapel was originally built on the site and later replaced by a hermitage built by King Alfonso XI. The Hieronymites took care of the building between the 15th and 18th centuries. Ferdinand and Isabella signed the documents authorizing Columbus’s first voyage to the New World in the monastery. In the 1800s the monastery was abandoned and looted by the French during the Peninsular War. It is now maintained by the Franciscans. This is interesting: Guadalupe is home to the shrine of the Virgin of Guadalupe; the statue was being brought to Sevilla from the Greek island of Patmos when the party was attacked and they buried it in a nearby field. It lay for 600 years before it was discovered. History: Built over 10 years by Charles III as his summer residence during his reign from 1357-1425. In 1512 the castle was invaded by his grandson — he obviously wasn’t too happy being left out of the royal succession. It later suffered severe damage in the 17th century and was nearly destroyed during the Napoleonic Wars. 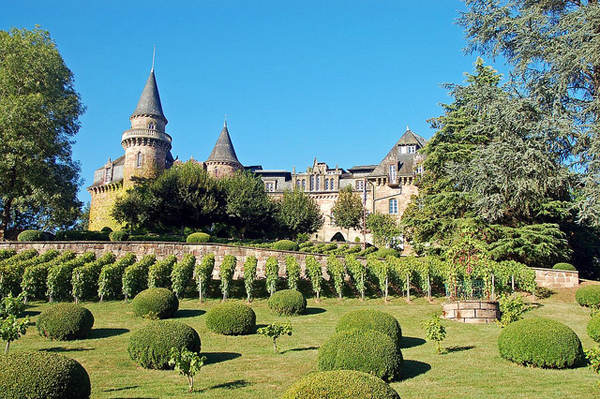 This is interesting: When booking, request a room inside the historic castle. No additional charge, but much more atmospheric. History: In 1377, permission was given to the Saxons of Kronstadt to build the citadel. In 1378, the castle was used as a defense against the Ottoman Empire, and later a customs post at the mountain pass between Transylvania and Wallachia. It then became a royal residence within the Kingdom of Romania, being the primary residence of Queen Marie. In 1948, it was seized by the communist regime when the royal family was kicked out of Romania. The government handed back ownership to Archduke Dominic of Austria-Tuscany — son and heir to Princess Ileana from whom it was seized. It has been open to the public as a museum since 2009. Special note: It is not a hotel, but according to this post, the Round Tower can be turned into a luxurious apartment for tourists wanting to spend the night. This is intersting: This is one of the castles associated with Bram Stoker’s Dracula. 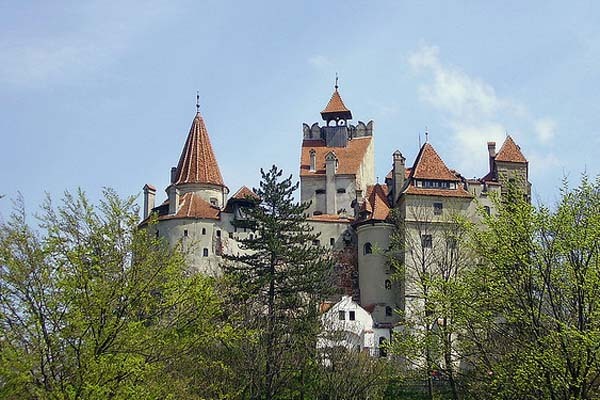 Although there is no evidence that it was ever the home of Vlad Tepes — the count who apparently inspired the character — it is likely he used the castle during his raids into Transylvania. History: Built in the early Roman period, the original castrum — from 46 AD — can still be seen today. In the 13th century the castle was enlarged and in the 1500s the central part again enlarged. An extension was built onto the southern part of the castle in 1700. 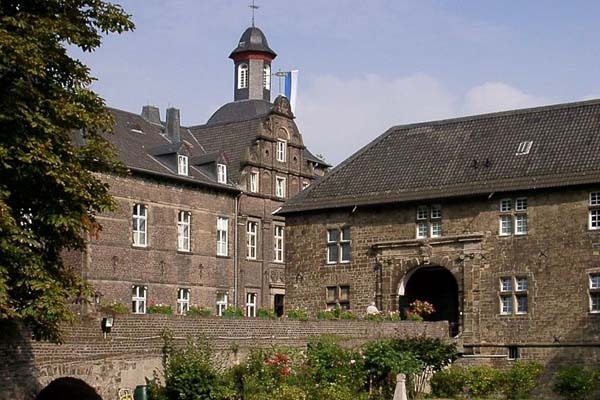 It was purchased in 1959 and opened as a monastery and a centre for spiritual studies. It again changed hands in ‘97 and was renovated to open as a hotel and museum. 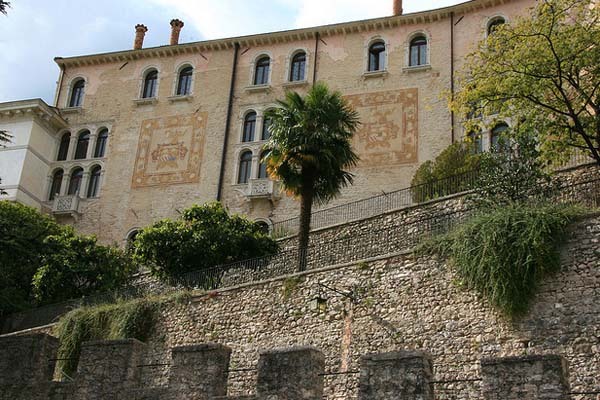 This is interesting: The castle was originally built as a means to protect communication lines between Northern Italy and countries on the other side of the Alps. History: Built between 1830 and 1840 , the “castle” is actually a Victorian era mansion built in mock castle style. There is also photographic history here: William Henry Fox Talbot — British inventor — was a frequent visitor, choosing the castle as his subject in some of his photographic experiments. It is also the subject of the earliest Welsh photograph, a daguerreotype taken by the Reverend Calvert Richard Jones in 1841. The entrance hall has been open to the public since 1992. This is interesting: Like others on this list, it is haunted. It’s been visited and investigated by Most Haunted (2006) and Ghost Hunters International (2010). 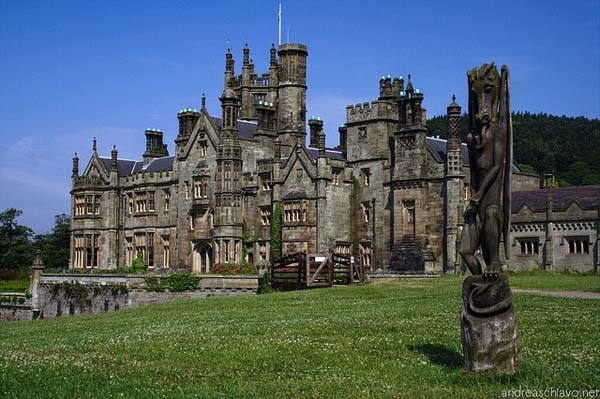 There are no beds but there is camping in Margam Country Park, in which the castle sits. Built on a rock in the 13th and 15th centuries its overall architecture dates from the 18th century. After having belonged to several of the region’s great families the château became the property of Henri de Jouvenel. A talented journalist and influential politician he married the famous writer COLETTE, who wrote several of her novels at Castel Novel. It was purchased in 1956 and turned into a high-quality hotel/restaurant. This is interesting: Canoeing, kayaking, fishing, and golfing are just some of the activities that can be done nearby. History: Human occupation on the site dates to prehistory, it is believed. Mentions of the castle go back as far as 1153. Serious damage was done to the castle during a big earthquake in 1755. It was the first to fire shots in the Battle of Roliça in 1808, the first defeat of Napolean’s army in the Peninsular War. In 2007 it was elected as one of the 7 Wonders of Portugal. 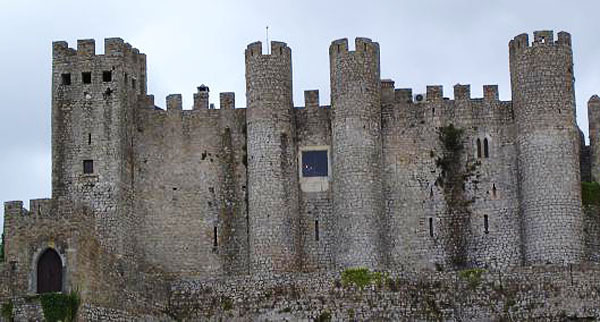 This is interesting: The town of Óbidos is listed as a UNESCO World Heritage Site. Looking for more unusual places to lay your head for the night?